Found one file extension association related to The Complete Animator and 1 file format developed specifically for use with The Complete Animator. Developer / company: Iota Software Ltd. 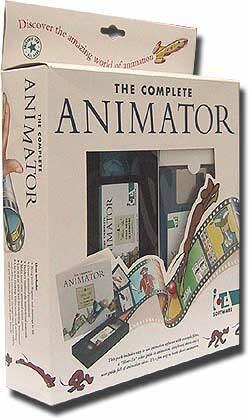 The Complete Animator provides a quick and easy way to produce your own on-screen animations. It is an ideal way to learn about computers and the world of multimedia, yet is powerful enough for serious resource authoring. If you need more information please contact the developers of The Complete Animator (Iota Software Ltd.), or check out their product website.